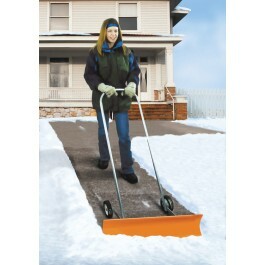 The Snoblade One Man Snow Plough is light, easy and safe to use. The blade is at a fixed angle and is bi-directional, pushing the snow the same direction with every pass. The head of the snow blade is set at a fixed angle of 15° and is suitable for snow of a depth up to 15 cm. It has a lightweight design making it universally useable. It is also incredibly safe and easy to operate. When snowfall is heavy, leaving thick snow drifts on your premises, spreading salt is not always the most viable option at first. So look no further than the snow plough to rid you of the layers of troublesome snow. Ideal for use by care takers and facility managers, quickly and effectively clearing away large quantities of snow with every pass. 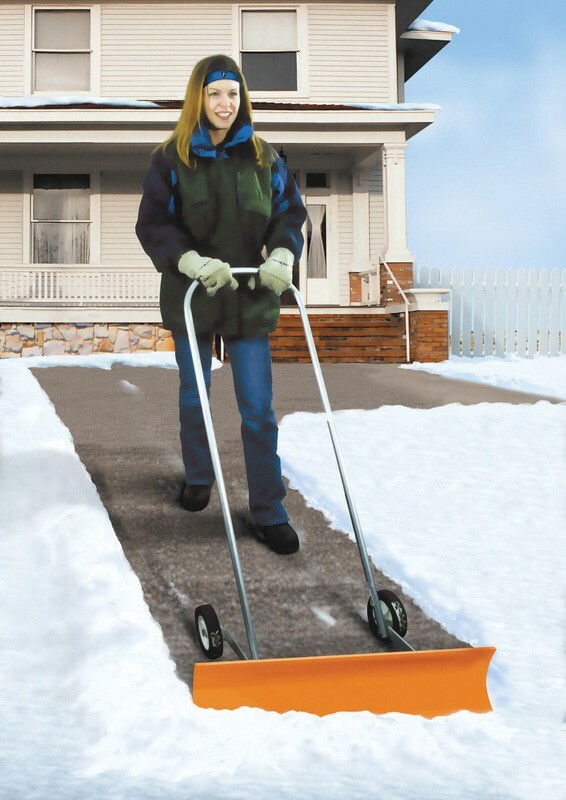 Ideal for quickly clearing thick snowfall.